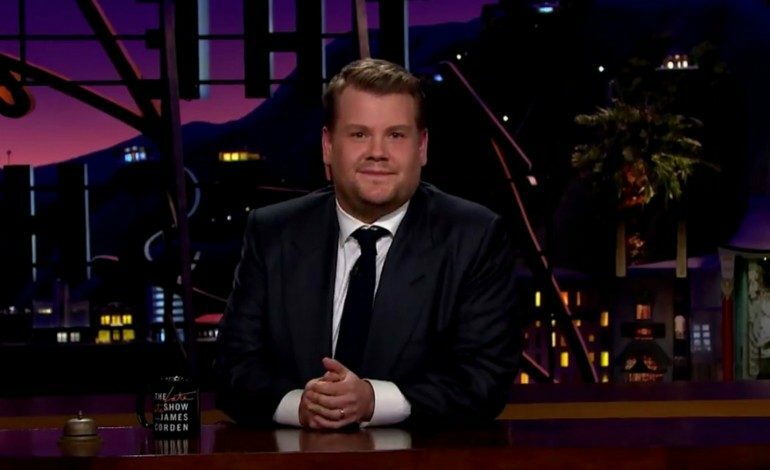 James Corden, who has been the host of The Late Late Show since 2015, has created many recognizable segments that have allowed his show to repeatedly go viral online. One of these, a popular game known as Spill Your Guts or Fill Your Guts, places Corden and his guest in the uncomfortable situation of having to either answer a controversial question, or eat something utterly disgusting. The latest installment of the segment occurred last Tuesday night, and welcomed Kris Jenner to the table of stomach-churning snacks. In a moment of what Jenner likely thought would be a chance to either embarrass Corden or force him to eat a 1,000 year old egg, she eagerly asked him, “why haven’t you done a Carpool Karaoke with Kanye yet?” Although the opportunity could have presented itself as a chance for Corden to ask Kanye to appear in the project for the first time, Corden instead admitted that Kanye not joining him for a video in the hugely-successful series was not due to a lack of trying on the host’s part. Corden explained that not only has Kanye repeatedly agreed to do the segment only to later back out, but that Kanye even “cancelled once as I was turning the corner to his house. I was in a car, and by the time the call finished, I was sat outside his house, and they were like, ‘He’s not in the zone for it right now. We’ll do it another time’”. Although James’ disappointment was apparent while sharing this information with Jenner, Kanye’s mother-in-law, he was also quick to mention that he did receive an apology gift from the rapper, which came in the form of flowers and a pair of Yeezys, the acclaimed sneaker brand of the star. Corden then joked that the sneakers, despite their typical lofty price tag, were even more expensive than usual, having cost his show $45,000 in wasted production funds. Despite any irritation on the crew or host’s parts, Corden was eager to let Jenner know that he would still love to have Kanye join him in Carpool Karaoke, saying that the star is “his dream”.